The low, clean style of the Cybex Pro3 Treadmill looks incredible in the gym and the low step-up of just 7.5 inches is less intimidating if you're new to working out. With a lot of programmes to satisfy the serious runner, this running machine is simple to use for even the occasional user. And programmes can be changed on the fly so there's no starting over if you want to raise or lower the intensity of the training. You are sure to appreciate the convenience features of the dual water bottle holders, utility tray, and Quick Start function and there are more features than just that which make this a truly great treadmill. In addition to the comfort features there are a pair of pick up handles at the rear of the unit making it easy and safe to move the treadmill around. Also, the drive belt edges are covered to prevent fraying and to keep dirt from collecting between the deck and belt (these also keep things like your fingers and towels from getting caught). The CYBEX Pro3 treadmill is built to last. The 3" crowned rollers have been designed for long roller bearing life (up to an amazing 250,000 miles) and the deck flips over to provide additional wear surfaces. The steel side bed covers won't bend or break either - this really is a tough piece of kit that also has all the finesse required to put it up there with the very best treadmills available on the market today. Programmes: In addition to a broad variety of programmes the CYBEX Pro3 treadmill has a live keyboard. The programme or any of its settings can be changed while in the programme without having to start over. 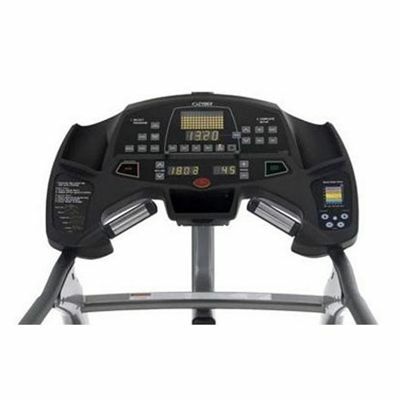 Split Level Display: The console itself has been designed to match the way a treadmill is used. By separating the console into two parts, users are given the ability to use what they want and when. Time, speed, and incline are constantly visible on the lower level with other information on the top. Pulse Width Modulation (PWM) controller: Using digital feedback, the controller uses PWM technology for high-speed stability and constant speed control with smooth operation. It also maximises effectiveness for economical power consumption. 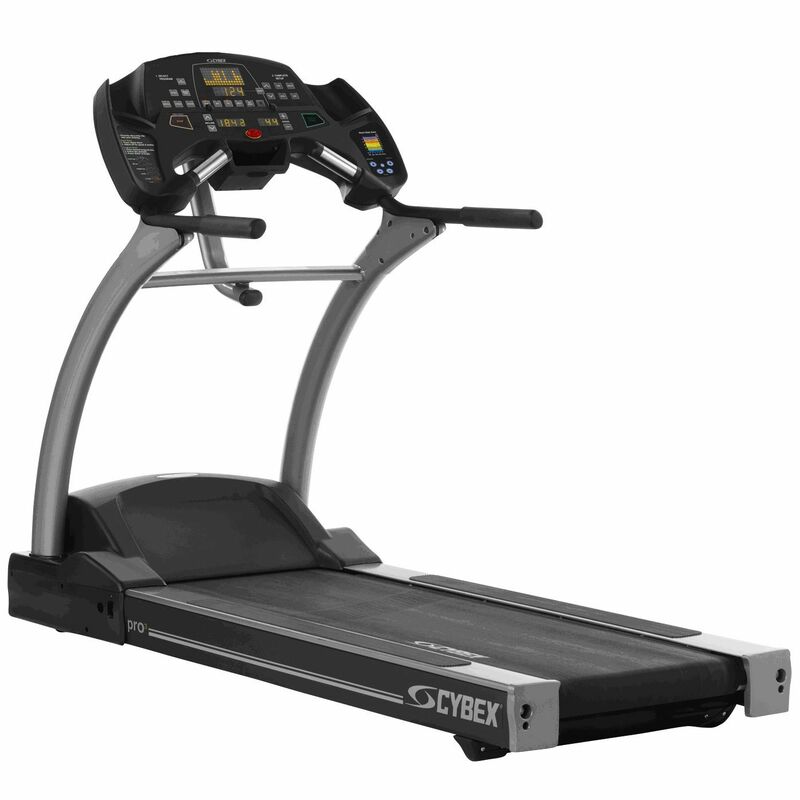 Self-Serve Deck: CYBEX engineering has developed the lowest maintenance deck in the industry and it is standard on the Pro3 treadmill. Deck Suspension: The Pro3 treadmill running deck is soft at landing, hard in the middle, and rigid at toe-off, to precisely match the body mechanics of a runner. for submitting product review about Cybex Pro3 Treadmill.